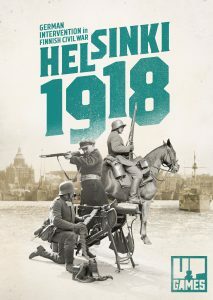 Helsinki 1918 is a hex wargame for three players. The game offers a historical representation of the Battle of Helsinki between 11th and 13th of April and covers the whole battle from the outskirts to the centre of the city. Each hex represents an approximately 300 meters wide area and each unit represents a company sized force.